ByRominaPerez: A favorite of mine. I loved how nicely the book layout was done, good use of white space and I love how when they used to show the materials all the jars and labels matched and very good pictures. so you'll really enjoy reading this wonder book. Karen Michel also runs a nonprofit organization along with her husband, is called The Creative Art Space for Kids Foundation. 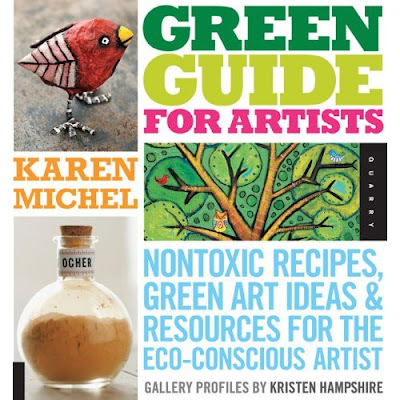 Visit her website at www.Karenmichel.com to see her work, shop and blog.